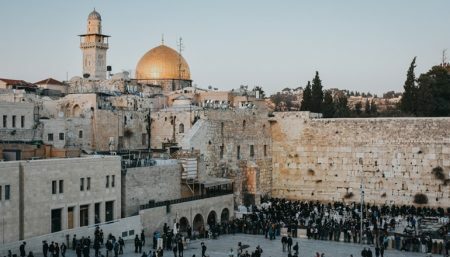 On this free walking tour, visit the first neighborhood built outside the Old City walls, initiated by Sir Moses Montefiore – the groundbreaking neighborhood that was the first step in the construction of Jerusalem outside the Old City by Jews and other communities. Walk along the romantic Yemin Moshe alleyways, hear what happened during the course of its history and how the neighborhood has changed over the years. The tour meeting point is at Safra Square (24 – 26 Jaffa Rd) and then heads through the Old City to the City of David. Changes may occur in the route on the day. The tour is up to three hours in duration.